Get out of town with these interesting Miami side-trips: Fort Lauderdale Beach (in Fort Lauderdale), Shark Valley (in Everglades National Park) and Sawgrass Mills (in Sunrise). 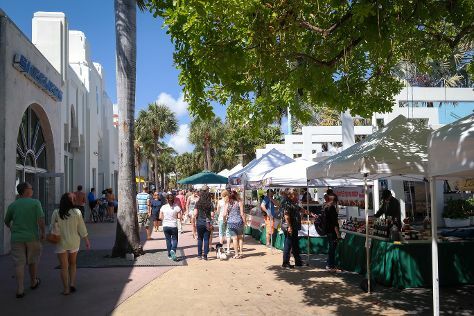 The adventure continues: wander the streets of Lincoln Road, take a leisurely stroll along Miami Beach Boardwalk, examine the collection at Vizcaya Museum and Gardens, and enjoy the sand and surf at South Beach. To find photos, where to stay, other places to visit, and more tourist information, use the Miami trip maker tool . If you are flying in from Bahrain, the closest major airports are Miami International Airport, Fort Lauderdale Hollywood International Airport and Palm Beach International Airport. In July, daily temperatures in Miami can reach 38°C, while at night they dip to 30°C. Finish your sightseeing early on the 31st (Wed) so you can travel back home.